Mezzo soprano Imogen Garner read Economics at Sheffield University and following a year’s teacher training studied at the RNCM. At ENO she has covered Paulina in The Winter’s tale, Lulu’s mother in Berg’s Lulu and 2 roles in Martinu’s Julietta. In 2016 she sang Marnie’s mother in a workshop performance of ‘Marnie’. Imogen has previously sung in the Extra Chorus at ENO and completed ENO’s Opera Works course in 2012. She has also sung in the Chorus at Scottish Opera on a number of occasions. Imogen has covered significant roles at the Buxton Festival for the last five years including Orfeo, Florence Pike, Alisa in Lucia di Lammermoor, Irene in Tamerlano, and Idamante in Idomeneo. She has also performed small roles in Charpentier’s Louise and has been the mezzo soloist in the Festival Mass on BBC Radio 4 each year. previously sung Marcellina for Young Opera Venture. She has also performed Lucia in Cavalleria Rusticana, Mrs Grose in The Turn of the Screw and Mary in The Flying Dutchman. Imogen appears regularly on the concert platform and is a keen recitalist. Fenella Haworth-Head studied at the RNCM with Majorie Clementi and David Francis. She won the Keldwyth Award in 1987. 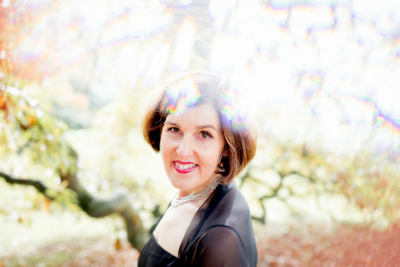 She has accompanied both choirs and soloists and regularly plays for BTS events as well as recording Brett Baker’s albums.